Dr. Vijay Kumar Gupta is a practicing Radiologist in Pathankot. He is one of the most famous Radiologists in town. Almost a decade back, Dr. Gupta decided to pursue his passion for farming and put up a citrus farm in Pathankot. 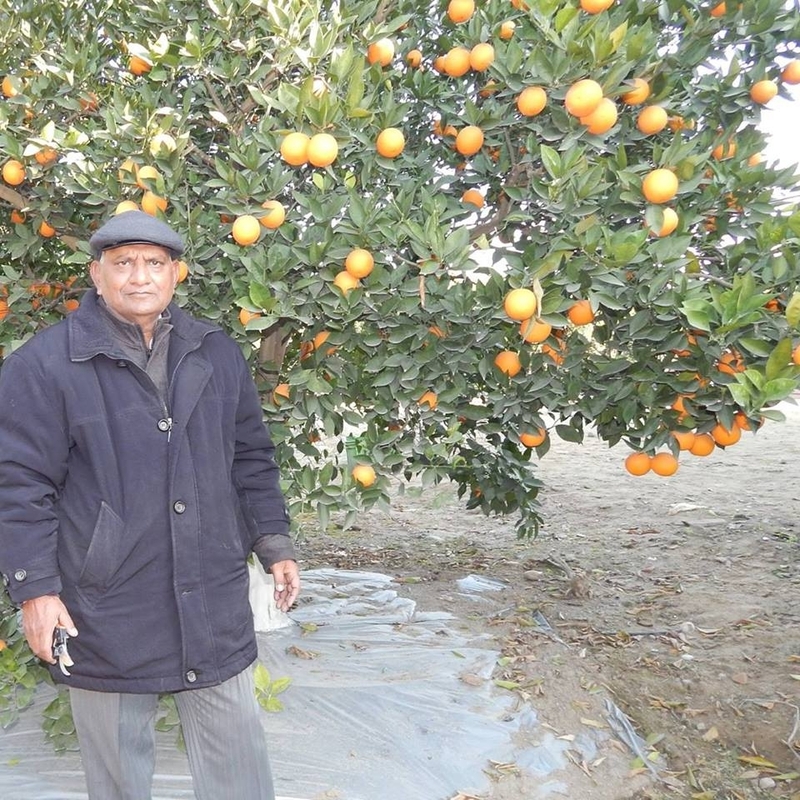 With able advice from his friends in Punjab Agricultural University (PAU) he sourced the right samplings and started growing some varieties of citrus on his farm, which are not found anywhere else. ON his certified organic farm, Dr. Gupta is growing some 7 different varieties of Malta along with Mandarins and Baby Mandarins. Rhode Red Malta is one of the last varieties of Malta which is harvested fresh in the country. The variety is popularly grown in southern europe and mid-eastern countries. Our farmer - Dr. Vijay Kumar is growing these along with 11 other exotic varieties of Malta. The fruit size of the Malta is small and it has almost 50 % juice content. The juice is dense and very favourful.